"De Boerderij" in Zoetermeer invested a great deal of money in sound & light and by consistent programming, the venue has become an ideal place to go to for fans of symphonic, progressive music. If there are big names in prog: "De Boerderij" is mostly likely to be the venue of choice. To name just a few of the bands that performed there for the last years: The Zombies featuring Rod Argent & Colin Blunstone, Procol Harum, Asia, IQ, Steve Hackett, Alquin, the list is endless. 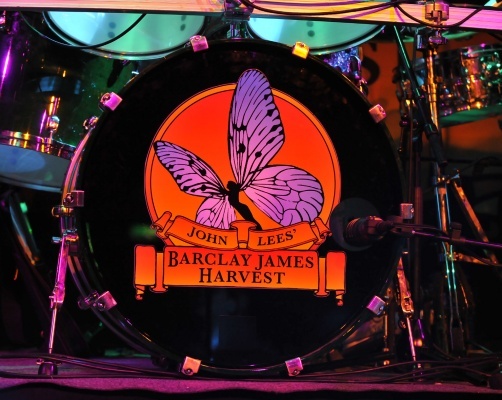 This time another legendary band chose to play "De Boerderij": Barclay James Harvest. THE Barclay James Harvest? Well, sort of.... because there are two 'Barclay James Harvests' at the moment. 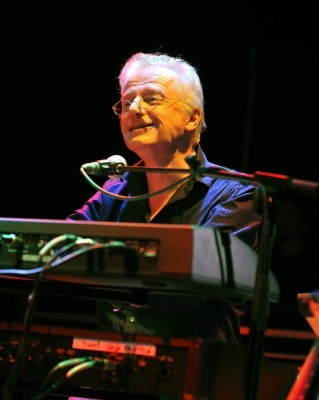 Original drummer Mel Pritchard, playing with 'the other' Barclay James Harvest with founder member Les Holroyd, suffered a heart attack and died suddenly in 2004, but Les Holroyd is still playing more pop oriented music with his own version of BJH. The two remaining founder members John Lees and Stuart (Woolly) Wolstenholme, renewed their musical friendship in 1998 and started working together and went on tour again and released Nexus in 1999, with several new songs. After a break of about 2 1/2 years, John Lees' BJH embarked for a concert series again with Craig Fletcher on bass/backing vocals, Jez Smith, their latest addition, on keyboards and Kevin Whitehead, drumming with this line up for 10 years now. 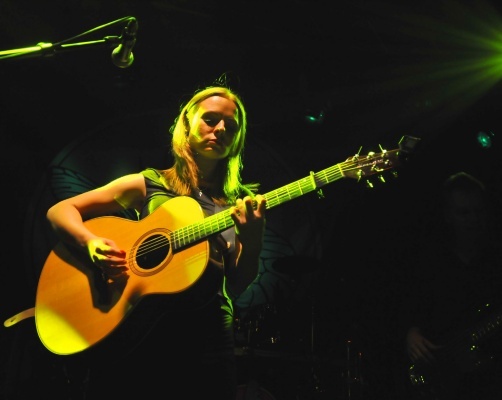 The support-act consisted of female singer/songwriter Jenny Weisgerber from Germany. A nice voice , nice appearance and a solid performance. She accompanied herself on the acoustic guitar and had some help from a very familiar face: Colin Bass of Camel-fame played his bass and sang background vocals. Although quite a different style from the main event, I liked this support-act and I'd invite you to check this Jenny Weisgerber out if you would have a spare moment! Good quality songs in the singer/songwriter genre. Being a fan of symphonic/progressive music I have always liked the more progressive/symphonic songs of BJH and in my opinion, the era of the seventies has been the most interesting. This band actually plays many great songs from these seventies and with two keyboarders one should say "you can't miss". The somewhat monotone voice of John Lees used to be alternated with Les Holroyd's vocal and even earlier also by Woolly's. During this show Woolly sang a couple of tunes too and the close harmonies with John and Craig were really very nice. The evening was not about dazzling guitar solos, keyboard wizardry or stunning vocals, but could be characterized by very genuine renditions of many great songs, performed by both experienced and dedicated musicians. Woolly proved to be the 'clown of the day' and drew much attention by making faces and interacting a lot with the audience. John Lees hardly smiled but concentrated mainly on his vocal duties. Although BJH never belonged to my favorites, this evening was an astonishing experience and it became clear to me that this version of BJH is to be preferred by far to Les Holroyd's a band. 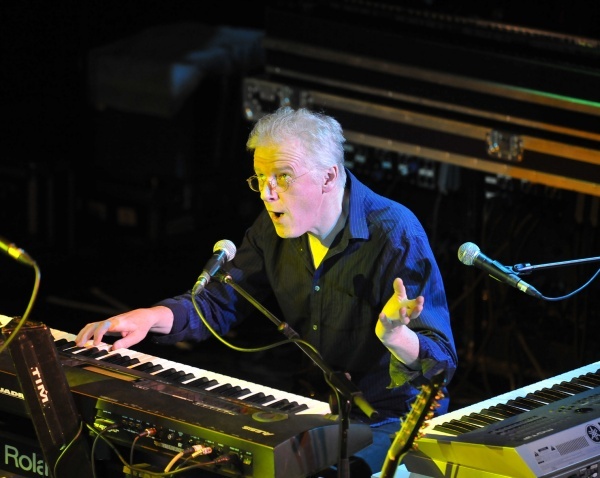 The highlights never ceased to come: classics like Mockingbird, Child of the Universe and In Search Of England brought back a lot of very pleasant memories and once again it became obvious that the seventies were the most important era for progressive music. The mellotron sounds by Woolly must have been a feast for every prog-lover's ears and the orchestrations and 'grand piano' by Smith enhanced the symphonic atmosphere. Wolstenholme put out a solo album and worked with Davy Rohl on the Mandalaband album. It would be fantastic as Lees and Wolstenholme would start writing together and would decide to bring out a new BJH album in the same vein as their best songs. Although these guys have an extensive back-catalogue, the only criticism would be that the newest song the band performed, was Hors D'Oeuvre from 1999 and personally I would have loved to hear just a few new tracks instead of only oldies like Poor Wages from 1969, no matter how great songs like these sounded. Fact is this band would have deserved a sold out venue but although "De Boerderij" was filled nicely, all who decided to stay home and watch TV made a mistake: this was yet another great show in Zoetermeer. Well done Arie Verstegen to get acts like these to perform in the Netherlands!